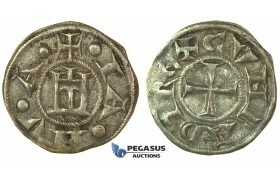 G17, Britain, Henry III (1216-1272) Short Cross Penny ND, Cantebury, Silver (1.47g) SCBI Mass 1811, ..
J30, Cilician Armenia, Royal, Levon I (1198-1219) AR Tram (2.89g) Great Patina & High Grade! 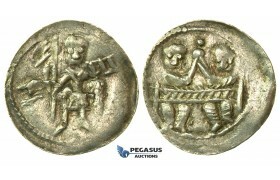 J30, Cilician Armenia, Royal, Levon I, (1198-1219) AR Tram (2.89g) Cf. 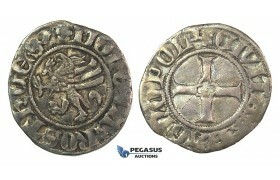 AC 282, Great Patina & Hi..
J34, France, Charles VI (1380-1422) Blanc Guénar, 4th emission, Saint-Pourçain, Silver (3.07g) Nice! 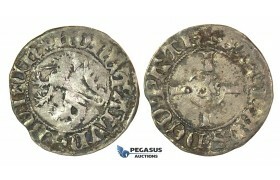 J34, France, Charles VI (1380-1422) Blanc Guénar, 4th emission, Saint-Pourçain, Silver..
J35, Germany, Lüneburg City, Witten ND (1389) Silver (0.95g) Jesse 390, Toned VF ..
J36, Germany, Rostock City, Witten ND (Before 1379) Silver (1.11g) Jesse 307 RR, Nice & Rare ..
J37, Italy, Venice, Doge Giovanni Soranzo (1312-1328) Grosso ND, Silver (2.17g) Nice toning! 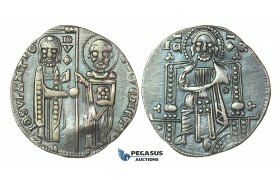 J37, Italy, Venice, Doge Giovanni Soranzo (1312-1328) Grosso ND, Silver (2.17g) Paolucci 2, Nice ton..
J38, Italy, Ancona, Republic, Denaro ND, Billon (0.71g) Good details! 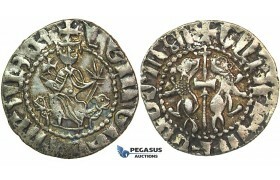 J38, Italy, Ancona, Republic, Denaro ND, Billon (0.71g) Biaggi 42, Good details! 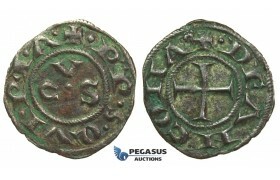 Verdegris in fields..
J39, Italy, Genoa, Republic (1139-1339) Denaro, Billon (0.95g) Well struck, Sharp details! 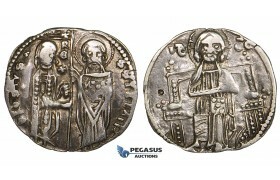 J39, Italy, Genoa, Republic (1139-1339) Denaro, Billon (0.95g) Lunardi 1, Well struck, Sharp details..
Z117, Poland, Boleslaw IV (1146-73) Denar, ND, Silver (0.55g) Such. XIX/2, High grade! 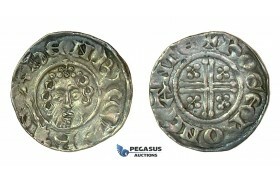 Z117, Poland, Boleslaw IV (1146-73) Denar, ND, Silver (0.55g) Such. 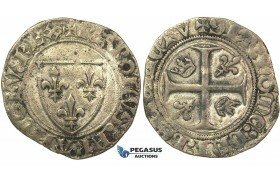 XIX/2, High grade! 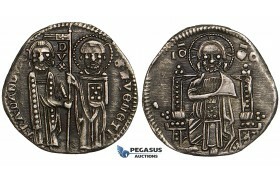 ..
ZI94, Italy, Venice, Francesco Dandolo doge, AR Grosso ND (1329-1339) Venice, Silver (2.20g) VF-EF ..
ZI99, Serbia, Stefan Uros II Milutin, AR Grosch ND (1282-1321) Silver (1.86g) Minor damage, Jovanovi..